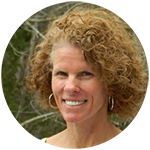 Master Instructor Meredith Smith, with over 20 years in the fitness business, currently holds two Comprehensive Pilates and Fitness Teaching certificates: IM=X in New York and Peak Pilates in Boulder, Colorado. I began in the fitness industry over 20 years ago teaching Step aerobics and weight training classes. After many years of teaching high impact moves, kick boxing and Spinning I found Pilates. While working in a club that was getting Pilates Reformers I was asked to take the teacher training. After a very short time I was hooked. I currently hold 2 Comprehensive Pilates teaching certificates, one from IM=X in NYC, which is a fitness style program and the other from Peak Pilates in Boulder, Colorado that presents Pilates in the classical style. When I got my first certification, I was intrigued by the way I was able to make by body stronger and more flexible with such small movements. It was also interesting the way the breathing and mindfulness of the exercises created such a mind clearing work out. Something I had never experienced before. In addition to Pilates, I am also certified in a number of other fitness diciplines including Personal Training, Group Fitness, Spinning and TRX.